Meatloaf is definitely one meal you can have on a regular basis with the Paleo diet, as long as you get the bread crumbs out of there. This is easy enough to do as long as you know some good substitutes that will provide the right consistency and taste so you get a loaf that tastes just like it ought to. If you like topping your meatloaf with ketchup, you’ll also need to use a Paleo-friendly ketchup to make sure that you’re staying on course. 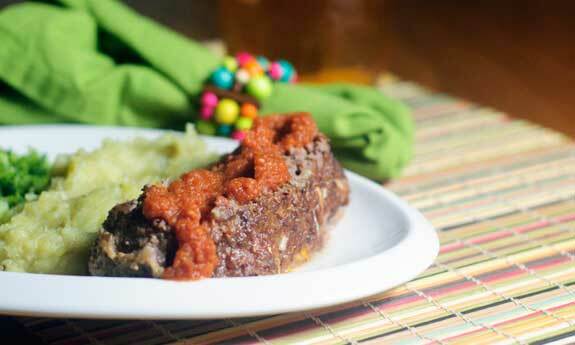 Here’s a meatloaf just like mom used to make, but without the ingredients that aren’t allowed on Paleo. They are using an interesting mix of pork and beef on this recipe, and there isn’t a single bread crumb anywhere on it. Instead they’re using almond meal so you’re going to get a very similar consistency and it’s not just going to be a slab of meat on your plate, it will have that “loaf” quality. For the ketchup alternative they’re combining tomato paste and ghee, so this may even outrank mom’s old meatloaf and become your new favorite. Let’s say you have a fancy get together one night and you serve up a Paleo approved pate. 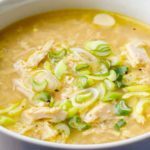 What to do with the leftovers the next day? Here they’ve figured out how to make a meatloaf out of it. They’re using almond meal, which you’ll notice is a popular choice when making Paleo friendly meatloaves because it’s going to help get the wheat out by replacing the bread crumbs. 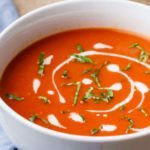 They stress that there’s no dairy used in this recipe, and they encourage you to use fresh ingredients. Paleo is all about keeping things simple and natural. This is one of those Paleo recipes that the outside world would say overdoes it on the meat. It’s one thing to replace classic beef with bison, since bison is generally better for you than beef, but to top a meatloaf with thick slabs of bacon is to take things to the next level. Coconut flour is used to hold it all together, so it’s going to have the right look and feel to it. 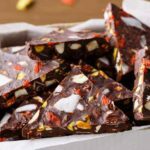 The other ingredients used are all good while eating Paleo and contribute to the overall taste. 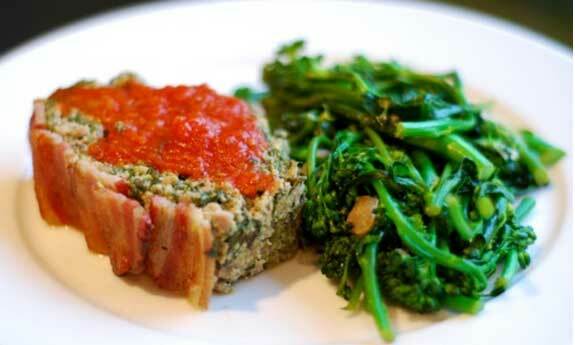 This is one meatloaf you won’t soon forget, thanks to the bacon. 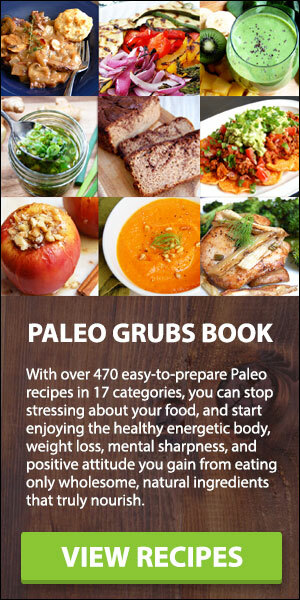 Paleo and gluten-free recipes share a lot in common because one of the things a Paleo diet doesn’t allow is grains, which cuts out all wheat products, which cuts out the gluten. 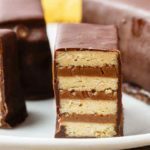 A gluten-free recipe still needs to be scanned for any other non-Paleo ingredients so that you can be sure you’re still within the parameters of the diet plan. Here they’ve got you covered, right down to using organic or grass fed meat, which is very important as it helps get closer to a natural state. The use of an apple might seem a bit unorthodox, but it comes out looking and tasting great. 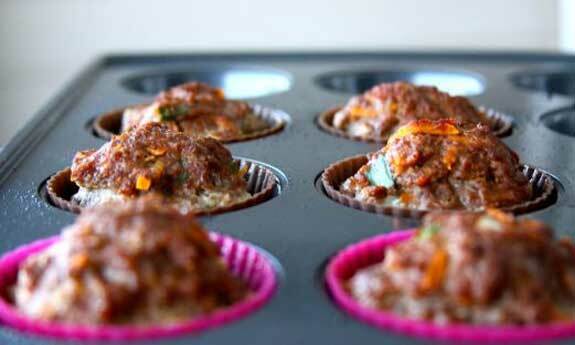 This little meatloaf muffins are great because they come in just the right portion size. You can make a lot of them, get your fill tonight and have lunch all set the next day. They are keeping things real simple here, and have figured out a way to avoid using both ketchup and bread crumbs. They’re using a specially created sauce with marinara in lieu of the ketchup and have almond meal standing in for the bread crumbs. If you have kids that are eating Paleo as well, they’ll like the size and shape as it presents itself better than a slice of meaty loaf. 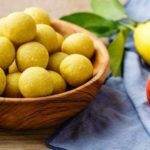 While the Whole30 and Paleo lifestyle don’t exactly intertwine completely, the Whole30 is actually more strict than Paleo, so you can follow their recipes without actually being on their program. This meatloaf doesn’t use almond meal because that’s not something that’s approved while on the Whole30 program. 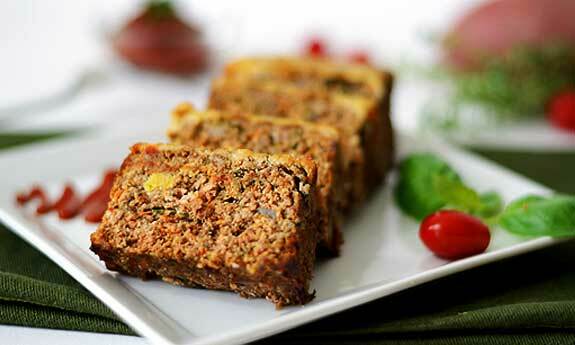 It instead uses ground fennel seeds to provide the role that bread crumbs serve in meatloaf. It’s another recipe that combines beef and pork, which is a good duo for the taste buds. This turns out to be a tasty addition to your meatloaf arsenal, and one that you’ll probably cook more than once after you give it a try. 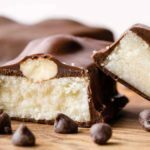 Since those little Fun Size candy bars are no longer an option, you’ll need to supplement with other bite size foods, and these mini meatloaves will by vying for a place on your plate. They are made using a mini muffin tin, or a regular sized one if you don’t have a mini. Either way they’ll come out in little bite size or two-bite size portions so you can have a bit of fun with these. They include a pretty detailed recipe to concoct your own ketchup, so you’ll have something to dip these in, adding to the enjoyment. Serve it on a bed of greens as shown so you get your veggie intake covered. They aren’t kidding when they say that the veggies in the recipe are hidden. They’re hidden under a layer of bacon and a loaf of meat. Somehow they’ve managed to pack spinach, onions, carrots, tomatoes, and a bunch of herbs in this meatloaf, so you’re getting a ton of phytonutrients, fiber, and essential minerals your body needs to function properly. This makes it one of the healthiest meatloaves on our list, and one that you should definitely try, especially if you don’t really like eating your vegetables. The baby spinach alone is enough to round out your nutritional intake on this one. This meatloaf has more meats going in it than you typically see in a traditional meatloaf, with a total of three. They’ve got beef forming the foundation, wild game added for additional flavor and texture, and then it’s wrapped up in bacon for the ultimate top layer. The use of currants gives it a color pop as well as flavor infusion, and they show you a way to fully wrap the loaf, so it’s not just covered in bacon but really wrapped in it like a little package. 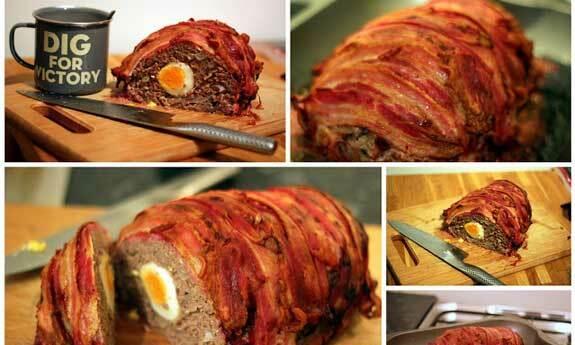 This is a cave-manly meatloaf if ever there was one. Venison is one of the best meats to be eating while on Paleo because in our modern society it takes things several steps back and gets to the heart of how our ancestors lived. The emergence of agriculture and keeping livestock is a defining moment in our history, and one that Paleo followers credit as the reason for so much modern day disease and illness. Venison is going to be free from all of the medicine and chemicals pumped into today’s cattle, and is going to be naturally and truly organic, no need to look for USDA organic certification. 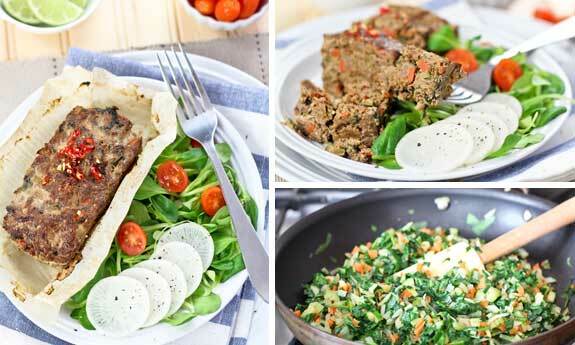 This meatloaf recipe has Paleo written all over it. She’s using organic ground turkey, so it is not going to be stuffed with all of the growth hormones given to conventionally raised turkeys to artificially pump them up to have larger breasts. It will also be turkeys that have eaten feed that is organic, so it will be more true to the way a wild turkey would eat and have lived. Aside from that it also has plenty of vegetables in the form of zucchini added to it, and instead of ketchup they have sriracha adding a bit of sauce and some spice to make it taste better. This has a few features to it that make it interesting, if nothing else. It replaces beef with turkey, gives it a barbecue flavor, and uses apple butter, an ingredient not found in traditional meatloaves. They’ve found a way to get rid of the bread crumbs and also aren’t using any almond meal as a replacement. It definitely comes out in loaf form, so no worries there. 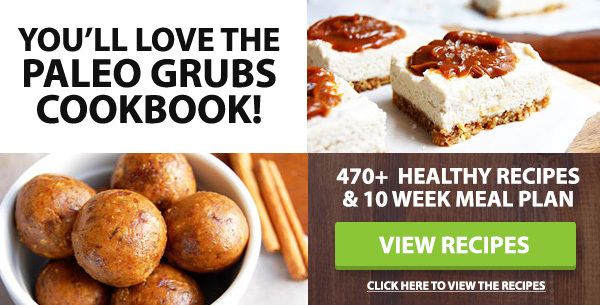 What’s great about this recipe is that they help you replicate your old meal of meatloaf and mashed potatoes by providing a recipe for mashed “fauxtatoes” which uses Paleo-approved cauliflower instead of the Paleo no-no potato. Not sure where they were going with this, as Hawaii doesn’t really conjure up a lot of mental images of meatloaf, but if you’re strained for ways to make meatloaf interesting, you have to borrow from any source you can. Luckily the Hawaiian flavors that they’re using here, namely the pineapple, work well with the concept of a loaf of meat, and this does a good job of adding sweet to savory and making the whole dish very palatable. You can use it as part of a Hawaiian theme, or just a way to break up the monotony of weekly meatloaf night. You can use turkey or chicken here, which is nice to have that option since you can use whatever you happen to have at the moment. This is one of the only southwestern flavored meatloaves we could find that is sticking to the Paleo way of eating. This flavoring gives it a whole new dynamic, and you might find that it breaks your notion of what meatloaf is or has to be. It still takes on that meatloaf consistency because of the coconut flour, but it is infused with flavor packets which add instant seasoning and makes it really easy to follow and replicate in your own home. You had us at pizza. 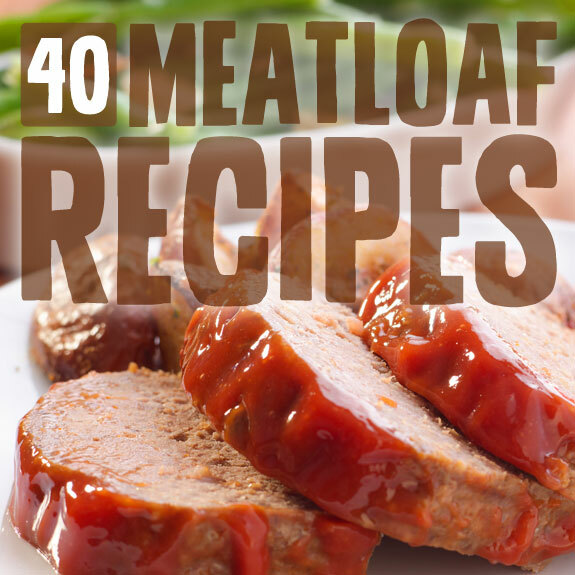 This is a meatloaf recipe we couldn’t resist, even if they didn’t take the most appetizing photo of it. The essence is there, and really all you have to do is show the pepperoni to make the sale. These are two childhood nostalgia foods that are combining into one to really drive the point home. It also instantly turns moans and groans into smiles and cheers when you say that it’s meatloaf night. All ingredients are Paleo, with the exception of the pepperoni, which is the source of some debate. To their credit they’re using some premium pepperoni so you’re getting as natural pepperoni as possible. These little meatloaves are almost too pretty to eat. Almost. They definitely gave some thought to the presentation, and it’s not the first time we’ve seen the use of muffin tins to make cute little meatloaves. They do a good job of color contrast between the loaves themselves and the sauce that goes on top. 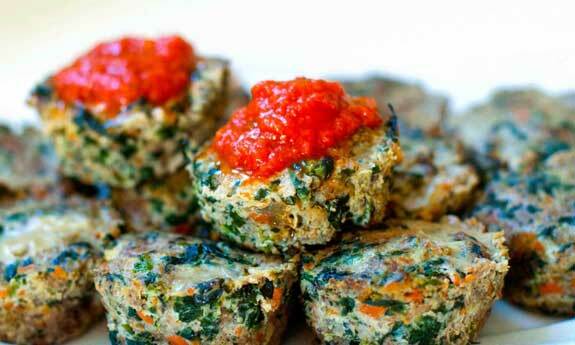 These are infused with spinach and other vegetables so it’s not a one-sided affair. You’re always looking for balance on Paleo, and it’s not quite the meat-centric diet everyone writes it off as. Getting your veggies is important, and if you can do it simultaneously all the better. Pork and lamb mix well together in this loaf. One striking characteristic it has is that it’s so simple, you can count all of the ingredients on one hand. At the same time it’s a bit unusual because it’s using spices like turmeric which you just don’t see being used a lot, but that has plenty of healthy benefits. We like how they’ve plated this up as it shows a good ratio of meats to veggies. The meal pictured would be delicious and would keep you feeling satisfied for several hours afterward, without feeling like you just ate an entire lamb or pig. 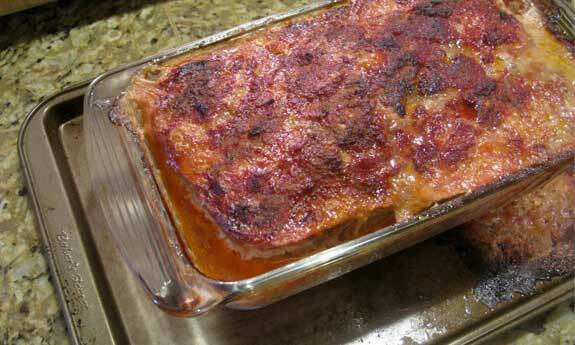 Here’s a meatloaf that looks just like you’d expect it to, but isn’t made like you might remember meatloaf being made. They are using a semi-secret ingredient, coconut aminos, which is supposedly a sap derived from the coconut plant. It is supposed to be a rich source of amino acids so it should add to the overall nutritional value of this recipe. They provide a very extensive recipe for ketchup, and half of the batch ends up in the loaf, with the rest being used as a topper just like you might remember from your younger years. This is one of the most truly Paleo meatloaf recipes we could find because it stays true to the mix of meats and veggies you should be getting. You want that ratio to be about half and half, and they come pretty close to getting you there, all in one loaf. They also do you the favor of portioning it off into individual portions so that you don’t have to worry if you’ve had one slice too many. As a serving suggestion they have it next to a salad, and this should get you to the right mix of vegetables and meats that you’re going for. Sweet and sour is just a classic mix of tastes and goes well with plenty of different meats and vegetables. 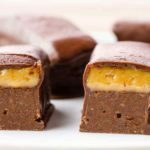 This is a yummy mix of ingredients, and they’ve even managed to sneak in some flax seeds so you’ll be getting a broader protein profile as well as omega-3s. When you replace beef with turkey you typically end up with less saturated fat. Make sure that you choose a lean package of organic turkey for best results and to stick to your Paleo plan as much as possible. Here’s a nice mix of chorizo with beef that takes ordinary meatloaf to a whole other level, all while keeping it Paleo. They’re using fresh chorizo, not cured, which means it’s a lot less processed. We like that they’re mixing it with beef because if it was just chorizo it would lose its meatloaf qualities. The glaze on this is just fantastic, made with tomatoes and Mexican herbs and spices it’s a dish that you will likely have more than once if you try it out. Be sure to serve it with a vegetable side to round it out and make it a Paleo meal. 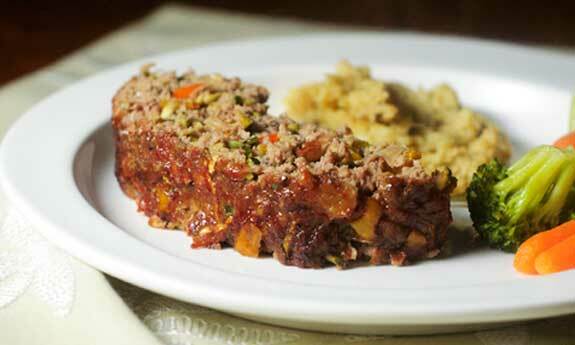 Here’s a recipe for a successful Paleo meatloaf experience: start with grass fed ground sirloin. 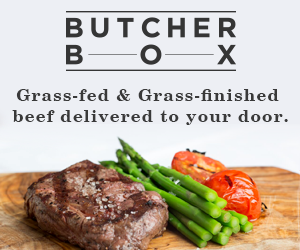 The grass fed part means that you won’t be getting meat loaded with chemicals and additives that go into conventional animal feed, and the sirloin cut means you’ll have a lean source of quality protein with lowered amounts of saturated fat. This is good because you’ll be adding bacon, which is going to add to your overall fat content. The bread crumbs are gluten-free, but not necessarily grain free so sub in almond meal to keep it strictly Paleo. 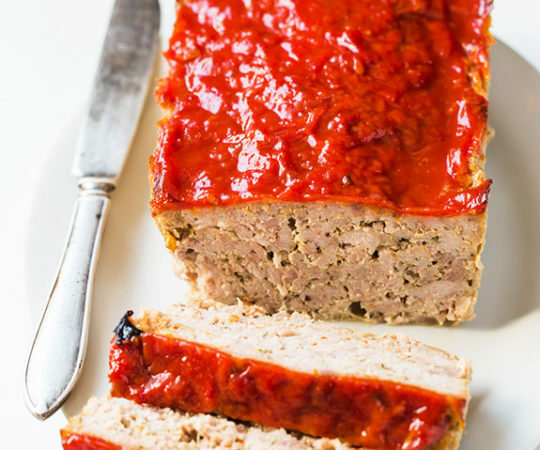 This pork loaf is interesting because it has a bit of sweet added to an otherwise savory meal. It is crusted in a fashion similar to an apple crumble, and delivers on its promise of apple cinnamon goodness. Granny smith apples deliver the apple part, and they round it off with some applesauce. The cinnamon flavor comes from cinnamon of course, as they’re making this Paleo-friendly and avoiding artificial flavoring agents. The other ingredients used all add nicely to the finished product, including white wine vinegar and coconut milk. It’s a good way to blend the main meal and dessert. These meatloaf cupcakes are so cute that you will be able to serve them to guests at a party, or simply serve them up for you and your family as a nice twist to the normal loaf form. If you’ve been craving cupcakes, something that is a no-go when doing Paleo, you can get the essence of a cupcake with the meatiness of a Paleo meal. The use of sweet potatoes to “frost” these cupcakes is ingenious, and a way for you to add fiber to an otherwise low fiber meal. It’s all about finding balance on Paleo between all of the meat and vegetables you’ll be taking in. 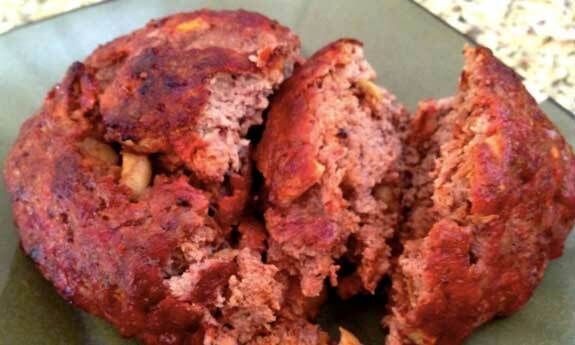 Here’s a way to turn bacon cheeseburgers into meatloaf, or meatloaf into bacon cheeseburgers, we can’t really tell. Either way it works to bring classic flavors to a traditional meatloaf format. 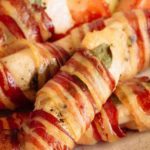 The use of bacon is nothing we haven’t seen before, and is a popular topper as you’ve likely seen from the other recipes on this page. But adding cheese to a meatloaf is pretty unique. They have homemade ketchup topping this, so it’s totally classic as far as appearances go. Cheese is not Paleo because it’s dairy, but there are a few things you can do to make it a little more acceptable, including buying organic cheese, or using a vegetarian or vegan cheese to cut out the dairy. 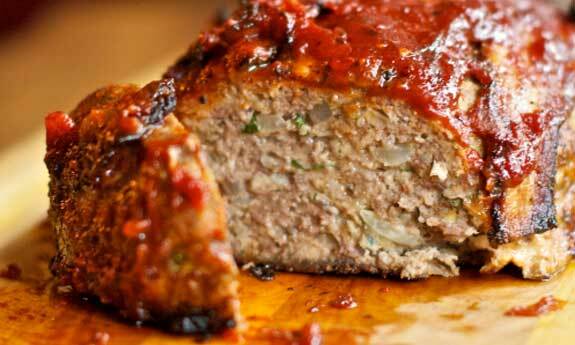 This is one meatloaf that you likely haven’t seen before. It has a hidden surprise in the middle – an egg! It’s also fully encased on bacon, so it’s going to appeal to the caveman in you. It’s definitely not short on protein because you’re getting it from the beef, bacon, and egg. 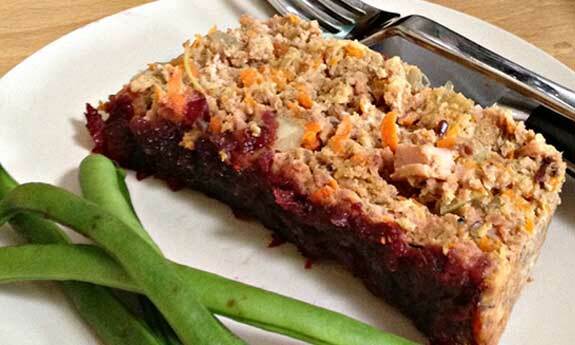 It’s a meatloaf you can even serve as leftovers for breakfast due to its breakfast components. Almond meal will make it loaf-like, so it’s passing on the bread crumbs and keeping this grain and dairy free. They say you can use the run off as a sort of gravy to moisten this up if needed. We just had to include a second sweet and sour meatloaf recipe because while the two may share a similar title, they’ve taken two drastically different routes to get there. If sweet and sour is your thing try them both and decide which one you like best. This recipe uses a glaze to get the job done, so you’re getting a pretty standard meatloaf as the base, with a beautiful and tasty topper that will make sure that there’s the right flavor in each bite. Serve this with a side of veggies because aside from a bell pepper there isn’t much in the way of vegetables used in it. 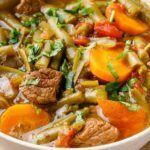 Everything about this recipe is deliciously Paleo, right down to the ratio of meat to vegetables. They have found a way to include a bunch of spinach in each bite without taking away from the meatiness of the meatloaf. They’re using two types of pork, so it really is porktastic, and you might not even notice you’re taking in so much spinach and mushrooms because of all the porky flavor going on. It has a beautiful color to it, and they even serve it up with a bed of spinach so you are getting plenty of nutrients in this meal. OK, before you write off this recipe it’s important to note that you don’t actually have to get your ingredients from the farmer’s market in order to make it. Of course it helps if you do, since you’ll be using locally grown and fresh ingredients, which is a cornerstone of the Paleo way. But use what you have on hand, and whip this up when the ingredients line up in your home. They provide a nice serving suggestion with this, a side of both carrots and green beans, green beans being OK because of the lower levels of phytic acid they contain compared to other legumes, even Mark Sisson eats them on occasion. Here’s a bacon-centric offering that will have you feeling satisfied and the best part is it only uses a few simple ingredients. You won’t be short on flavor because the ingredients they’ve chosen pack a punch, like garlic and onions. 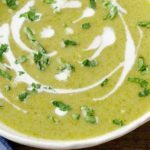 Eat this with a side of steamed broccoli so that you have enough fiber to help it through your system, as it doesn’t contain much in the way of vegetables, just the onion. It comes out encased in a layer of bacon, but it’s using turkey as the main meat, making sure it stays on the healthy side. Turkey and bacon combine to give you a meaty and savory flavor as a base, and the spiced cranberry glaze does a great job of providing contrast so your taste buds don’t know what to make of it. The entire thing falls under the Paleo umbrella, right down to the last ingredient. Their serving suggestion pairs it with some green beans, and these are also Paleo friendly if eaten once in awhile. They do use celergy in the loaf, but you’ll still need to complement this with a fair amount of vegetables to find the right balance. Here is a meatloaf with a kick thanks to the chipotle powder they’re using. They specifically state that you get to add it to your own taste, and they remind you that you can always add more later if you find that it doesn’t pop the way you want it to. They have found a Whole30 approved marinara sauce, and anytime you see a Whole30 item you know it’s also Paleo by default. The beauty of this recipes is it’s so easy to make, as long as you have all the ingredients handy it’s just about whipping them up and popping it in the oven. Get out the grain, get out the ketchup, and you’ve done yourself a favor by making this Paleo friendly. Almond meal is the grain substitute, and tomato paste fills in nicely for ketchup. By using a nut-based item instead of bread crumbs you’re successfully sidestepping the grains and tomato paste gives it the ketchup flavor without the added sugars and potentially High Fructose Corn Syrup if you use the popular name brand version. All in all you’re getting all the flavors you want, without using ingredients that can cause the body problems. This meatloaf looks absolutely amazing when plated, and it’s staying true to the Paleo mentality by using a combination of organic and grass fed meats, almond flour to avoid grains, and includes a recipe for sweet potato ketchup so you don’t have to use a store bought ketchup. This can be eaten as a family meal, or as a meal for two, or served as the main dish when entertaining guests. It can be a talking point if you want to let them know it’s Paleo, or you can simply keep it to yourself and enjoy. Tandoori is an amazing flavor that is typically reserved to having Indian food. But there’s no reason why you can’t let it trickle over into other foods, even staples like meatloaf. Lamb is a meat that you might have never tried in a meatloaf, so this is really pushing the envelope as to what we think about when we think meatloaf. But lamb is definitely a Paleo inspired food, and they’re using grass-fed lamb here so it’s as natural as we can find in modern times. The tandoori flavor comes right from a seasoning mix so you don’t have to worry about how to make it. This cajun concoction is going to make it really hard to go back to ordinary meatloaf. It’s definitely going to wake up your taste buds and is best suited for those that like to have a bit of heat in their mouth. They use andouille sausage for the cajun-ness, and it’s mixed with ground beef for just the right consistency. They don’t stop there, there’s a ton of seasonings used to give it just the right flavoring. There’s also hot sauce used, so be prepared. Almond flour keeps it grain free. Yum! Don’t let the title of this one fool you, even though it contains a good amount of vegetables it’s still packed with meat. 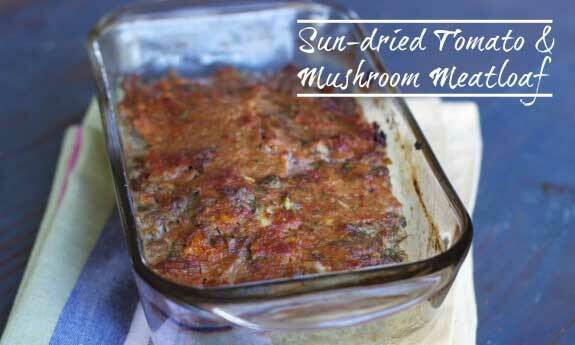 This is a good mix of beef, bacon, mushrooms, and tomatoes, along with a good amount of seasonings and spices. They’ve got a great glaze that goes over this so that you are sure to get a mouthful of flavor in each bite you take. Serve this with a side salad made of kale or spinach to make sure you get a good ratio of veggies to meat. With spices and bacon, you really can’t go wrong, right? They’ve got jalapeno in this, so it’s not as if you’re at habanero levels, or ghost pepper warnings, but it’s going to be noticeable when you eat it that this ain’t your momma’s meatloaf. Ground almonds work as a bread crumb sub out, and they’re using tomato paste to replace ketchup. You won’t be missing out on meatloaf flavor with this, and it will make you feel like you’re having that old familiar taste with a spicy twist. The fire roasting comes in the form of fire roasted tomatoes, and they also include a recipe for a barbecue sauce that you’re sure to make batch after batch of so you always have a ready supply on hand. 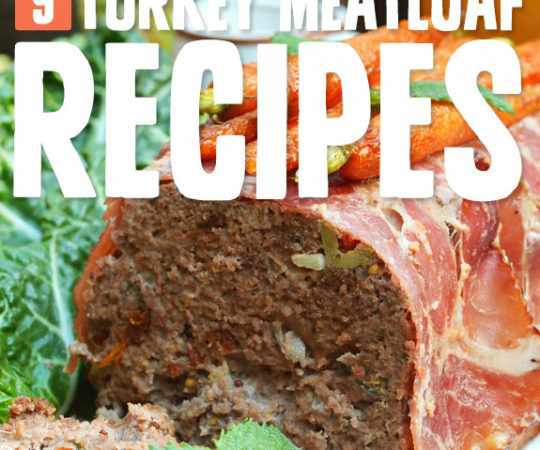 The recipe for the meatloaf is pretty standard, with some bacon, grass-fed beef, and an assortment of onions, peppers, eggs, spices and other typical meatloaf additives. It will win you over thanks to the tomatoes and the sauce, and will really hit the spot. The contrast in color between the loaf and the sauce makes this present well, which only adds to the overall experience. Three meats in one meatloaf has been a recurring theme on our Paleo Meatloaf page, and for good reason. It provides a broad flavor spectrum, and gives the mouth different textures to work with. It might not be exactly what a caveman would have eaten, because they were unlikely to eat three different meats in one meal, but it’s one luxury we’ve afforded ourselves in modern society. Stick to the highest quality meats you can find, organic grass-fed is usually the best out there. Follow this recipe to the letter and you won’t be disappointed with the results. Love these recipes!! Thanks for sharing. Just wanted to clear up the misinformation about almond meal on the Whole30. You can have almond meal, coconut flour, etc so long as it is taking the place of breadcrumbs in meatballs, meatloafs, etc. You can’t use almond meal or coconut flour to recreate baked goods such as muffins, cookies, etc. wow I really enjoyed your pizza meatloaf recipe and so did my wife and I also made sure I told her about your site, Much thanks!